For use with Wire Shelving. 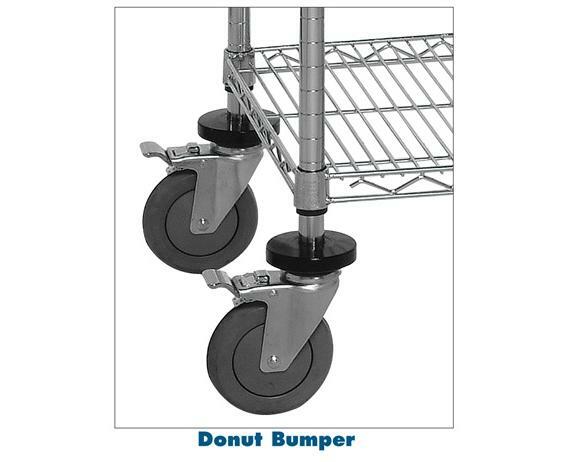 Mobile Kit - Set of 4 swivel polyurethane 5" x 1-1/4" casters, 2 with brakes. Can be used with Quantum Storage System's Wire Shelving. 1200 lbs. load capacity. FOB Shipping Point. 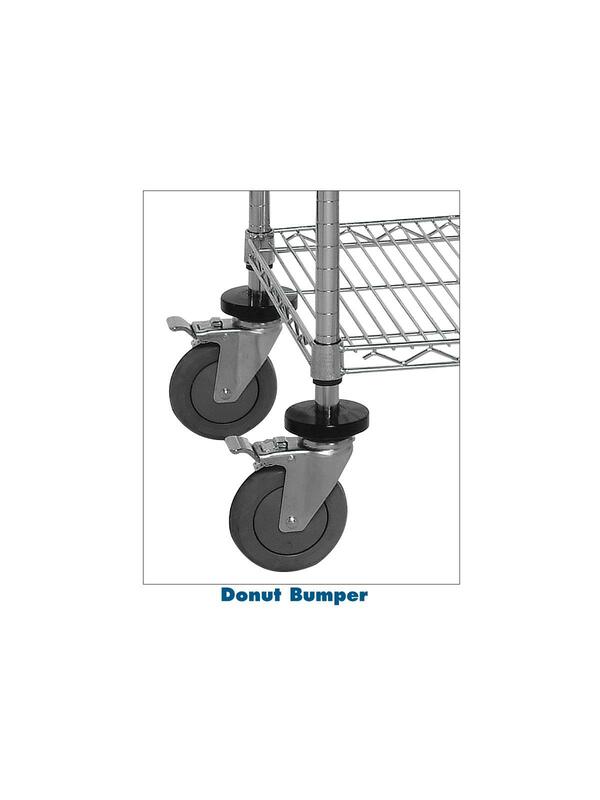 Donut Bumper - Non-marking, donut bumper used to protect walls and help cushion impact. FOB Shipping Point. See Related Items tab for Chrome, Proform & Black Wire Shelving and Wire Shelving Posts.